Allow your patrons to indulge in the little things in life with Nestle dark hot chocolate mix. For over 100 years, Nestle has been providing customers with the richest and creamiest chocolate products. With this dark chocolate mix, you can remind your guests of warm memories spent enjoying a cup of hot cocoa with loved ones on a cold winter's day - and now they can have those moments any time of the day or year. Made of only the best ingredients, the dark hot chocolate mix is sure to satisfy chocolate-lovers of all ages. Packaged in individual serving-sized envelopes, this mix is also great for portion control. 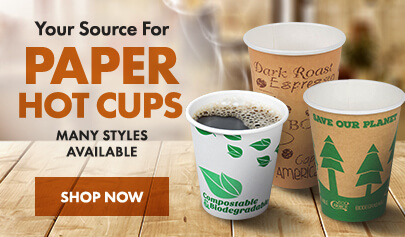 These convenient packets are ideal for use in your coffee shop, concession stand, office, waiting room, or as a hotel room amenity. 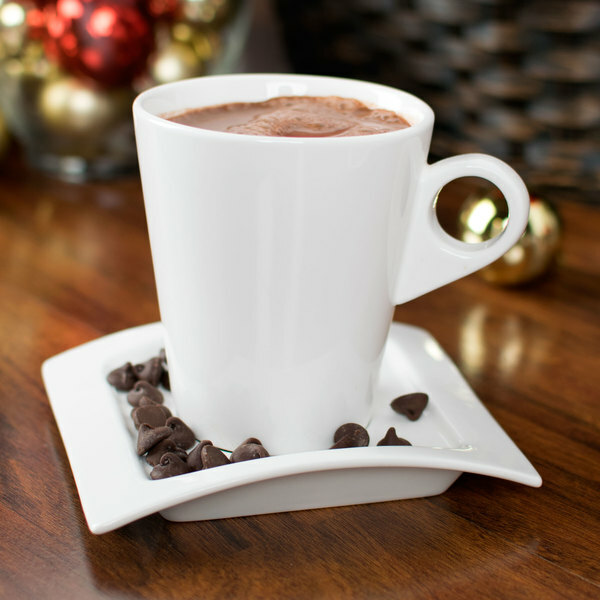 Incredibly easy to use, guests, employees, or customers can even make the hot chocolate for themselves. The dark chocolate mix offers more richness and cocoa concentration than milk chocolate mixes, perfect for people who love that intense chocolate flavor. For each serving of mix, simply add 6 oz. of hot water and follow the directions on the back of the packet and, voila! You'll have the perfect silky-smooth beverage to delight your patrons. For an even frothier chocolate beverage, you can use milk in place of water. This simple mix can even be used as a base for desserts, frozen beverages, and other specialty menu items. Best of all, this hot chocolate mix contains all the natural antioxidants of cocoa as well as additional calcium. This makes for a rewarding and delicious beverage treat that is truly guilt-free. Follow the directions on the box, or use your own variations. No matter how you make it, this dark chocolate hot cocoa mix is sure to please! Nestle, a well-respected name in the world of chocolate, offers this delicious dark chocolate alternative to regular hot chocolate. The single serve packets are great for buffet tables, cafeterias, or even on your own table at home. Nestle is the very best. My wife adores this product. These are rich and velvety, unlike many others who end up tasting like chocolate water. Good product. I recommend ! Love it, great for these cold winter evenings. I grew up on Nestle hot cocoa mix and my fondness has not diminished. Very enjoyable and good flavor. 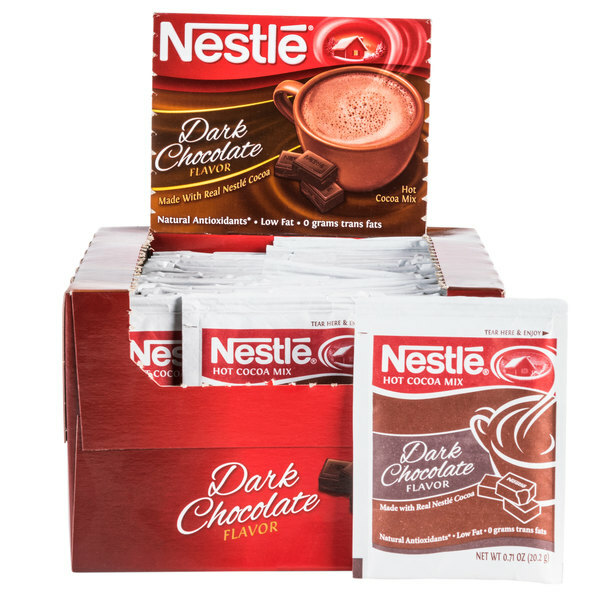 I've never tried dark chocolate hot cocoa and Nestle does it best with this product! It is perfect on a snowy or rainy day for warming up the soul! 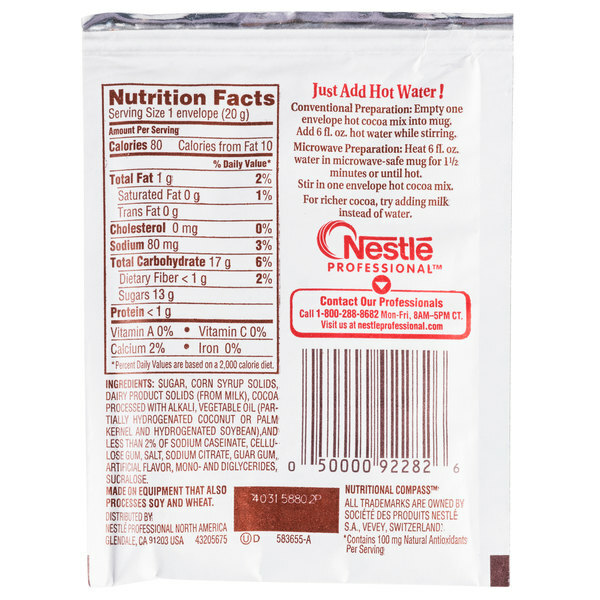 Nestle was always the go to brand growing up for chocolate milk and hot chocolate. 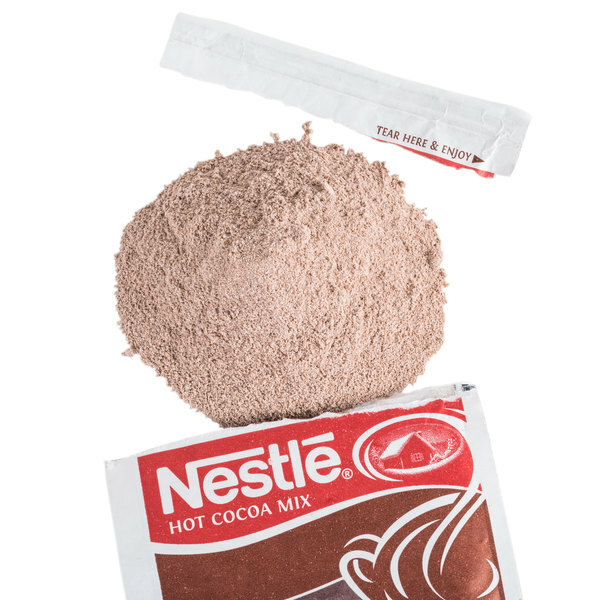 Another win for nestle for a great hot chocolate mix. Just the right amount of sweetness. The Nestle dark chocolate hot cocoa mix is awesome and is very decadent. The mix is my favorite because the dark chocolate flavor is great and not too sweet. The cocoa is very fine grained and ground so that it easily and almost completely dissolves into hot water without clogging on top. It tastes great and makes enough calories for some extra minutes at your work. Because it is contained in individual packets, you can also grab some for workplace, school and hiking if you carry hot water. I'll buy again. Price competitive and quality product for your menu. Easily dissolving with boiled water. I’m buying with cases both in winter and summer. Always in my stock. Love Nestle chocolate!! This is a great price for the package.. my kids enjoy the hot chocolate! Great flavor! I would definitely recommend to everyone!! You just can't go wrong with Nestle! For the employees that don't drink coffee, this is a favorite item that we keep available on hand for them. During the cold times in Pa, we love to drink hot chocolate & watch movies. 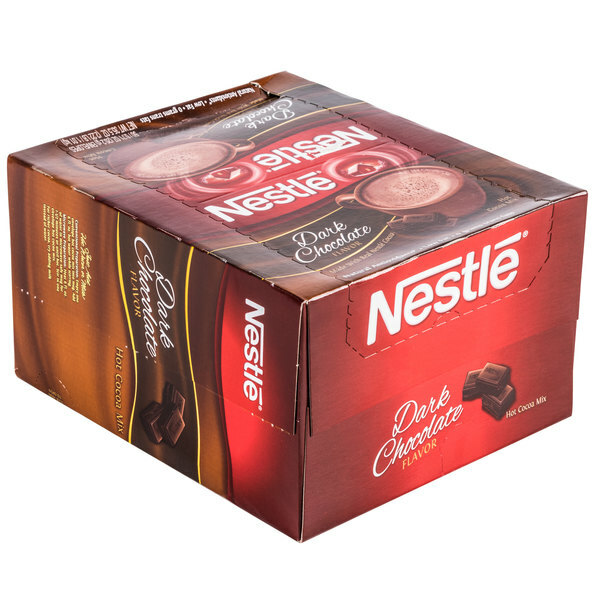 I was surprised when I seen the Nestles Hot hocolate at a fantastic price and 50 packages. We also found out grocery stores do not carry the dark chocolate and glad we located it here on Webstaurant.com Look at the saving buying this item. I have not been able to find DARK hot chocolate mix in the single serve envelopes until now. This has a nice dark rich chocolate flavor that my family real enjoys. Ordered the Nestle Dark Hot Chocolate for a family event. Everybody loved it - flavor is delicious and packaging is sophisticated. Will definitely be ordering this product again. 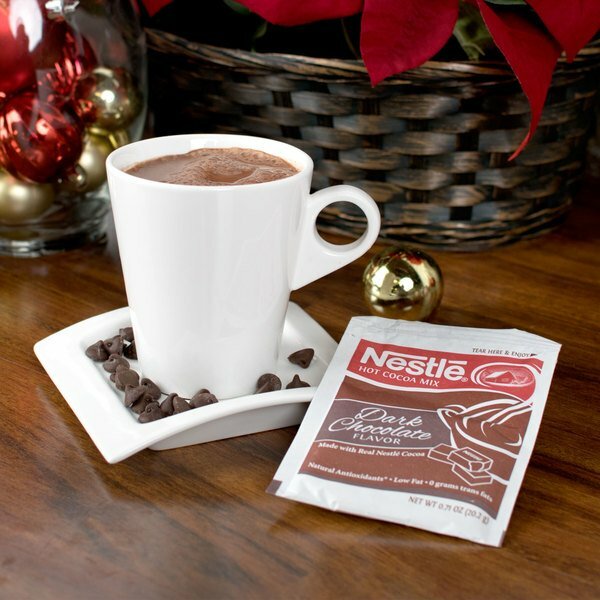 The Nestle Dark hot chocolate mix is an adult style hot cocoa that is divine. The cocoa is rich and creamy. The cocoa is great and not too sweet like the milk version. I am in love. 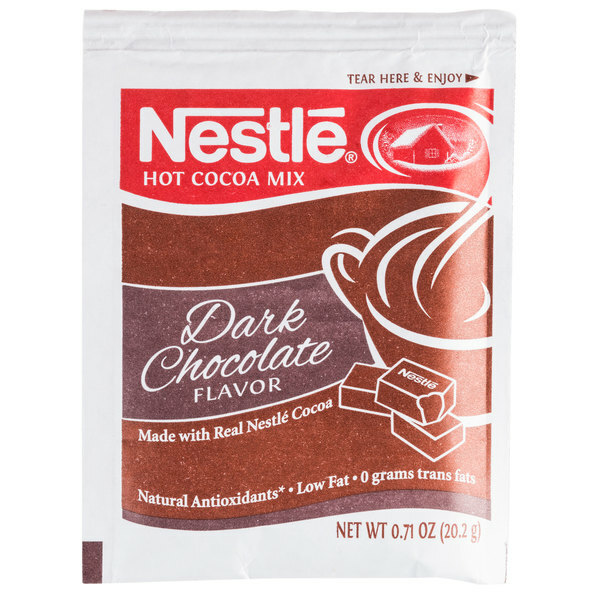 This Nestle dark hot chocolate mix is the perfect beverage for those cold winter days. With a smooth and rich flavor, this mix is bound to satisfy. Nestle Dark Hot Chocolate is amazing. It is sweet but not too sweet. It has a rich and deep chocolate taste that seems authentic rather than fake. I love it with milk and my guests do as well. 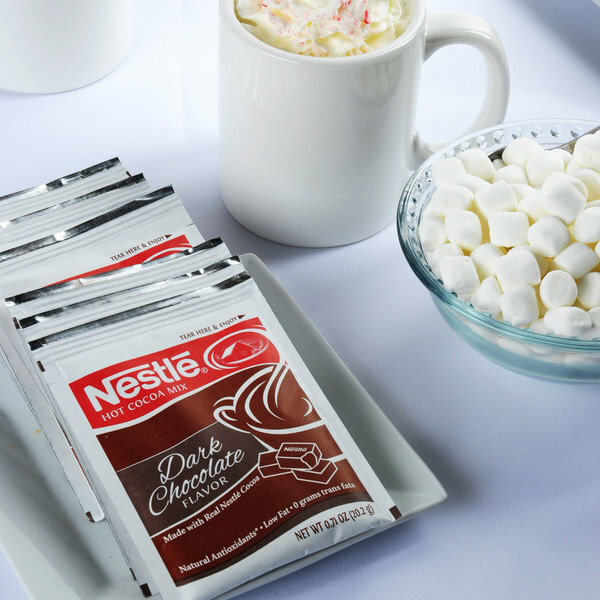 Nestle's dark hot chocolate mix is simple to make and tastes great. Just add hot water or milk to the mix and stir. Great for home or the office! This box of 50 hot cocoa packets is a great deal for tasty cocoa. Each pack makes one 6 oz cup of rich dark cocoa. A full bodied and rich dark hot chocolate mix that is erupting with the smooth, irresistible aroma of chocolate. I was very impressed with the taste and quality.